On the Crazy Challenge II list there is an entry for 4 pillowcases and 1 pillowcase. It’s listed as 5 pillowcases on the 4th Quarter Finish Along List Well, I counted wrong and it should have been 7. I made these assembly line fashion and each has a label inside the cuff saying who it is for. As I recently got 3 quilts far enough along to know what fabric I had for pillowcases, I made these 3 cases as well. 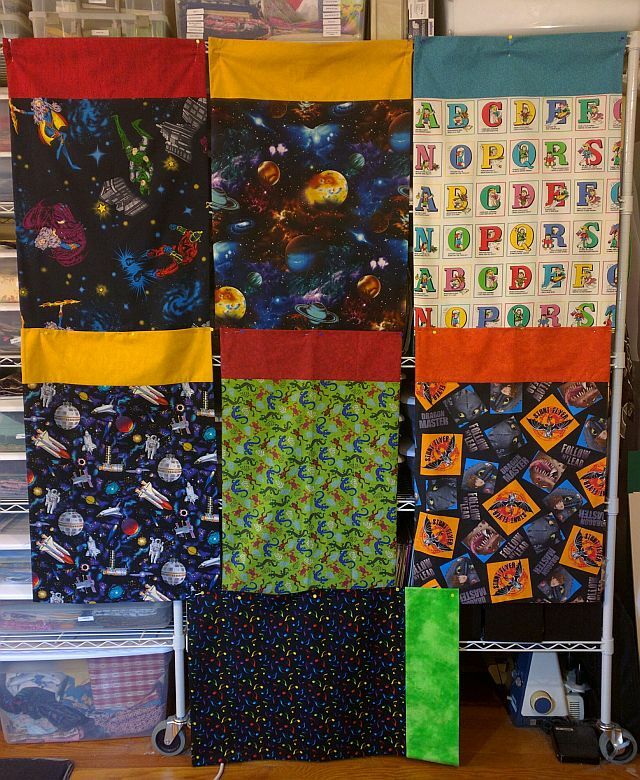 I would like to say I’m done with pillowcases, but I have either 4 or 5 more to make – just as soon as I get the quilts far enough along to know what I have to use for the cases.